All of it was there. The Art of Dr. Seuss was celebrated with care! This year marks the 60th anniversary of Dr. Seuss’ The Cat in the Hat and How the Grinch Stole Christmas. 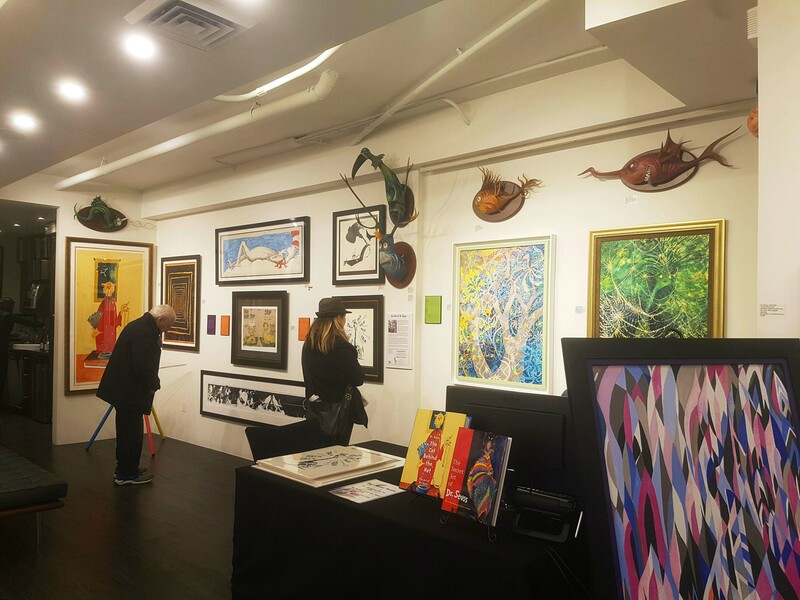 On Saturday, Liss Gallery celebrated the grand opening of The Art of Dr. Seuss Collection, an exhibition that will run for five weeks. Dr. Seuss, whose real name was Theodore (Ted) Geisel, is mostly known for his work in children’s literature. His unique language and art style has made his work timeless. What many people aren’t aware of is his Secret Art collection. Geisel created a hundred paintings that were never seen until after his death in 1991. 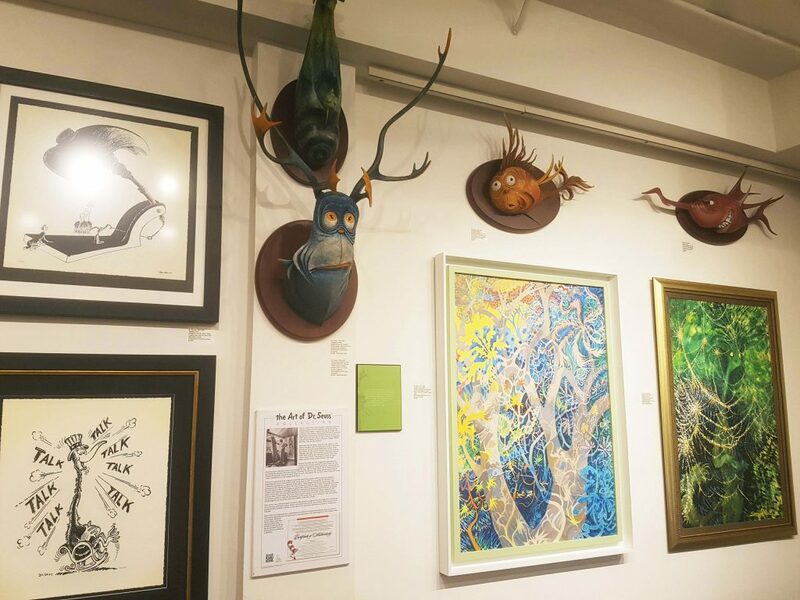 Liss Gallery has several of these paintings on display, along with prints, illustrations, and sculptures made with papier-mâché and real animal parts. 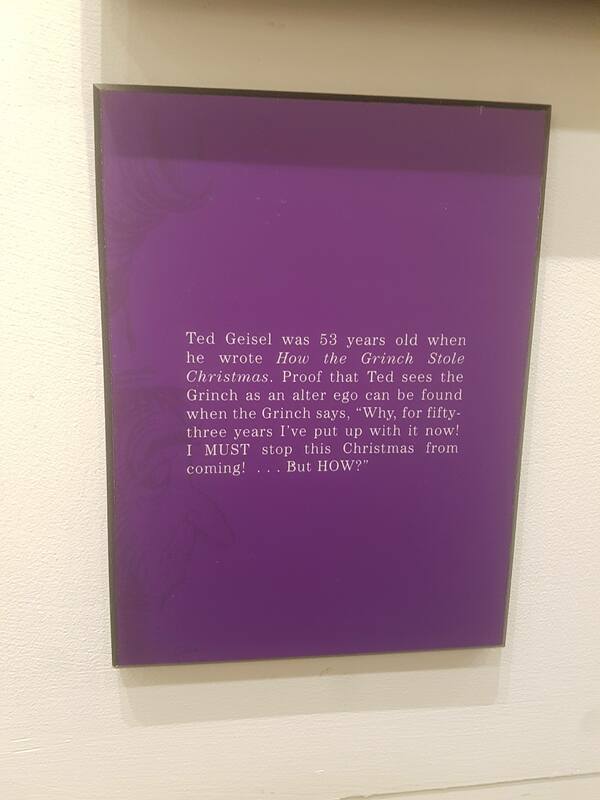 The gallery has represented the Art of Dr. Seuss exclusively in Eastern Canada for 15 years. 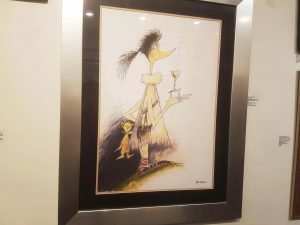 They work with Audrey Geisel, Seuss’ widow, to obtain these limited edition prints and paintings. Geisel’s work was highly influenced by surrealism and politics. He was a political cartoonist and ad man in his early career, and this became part of his work in children’s literature too. 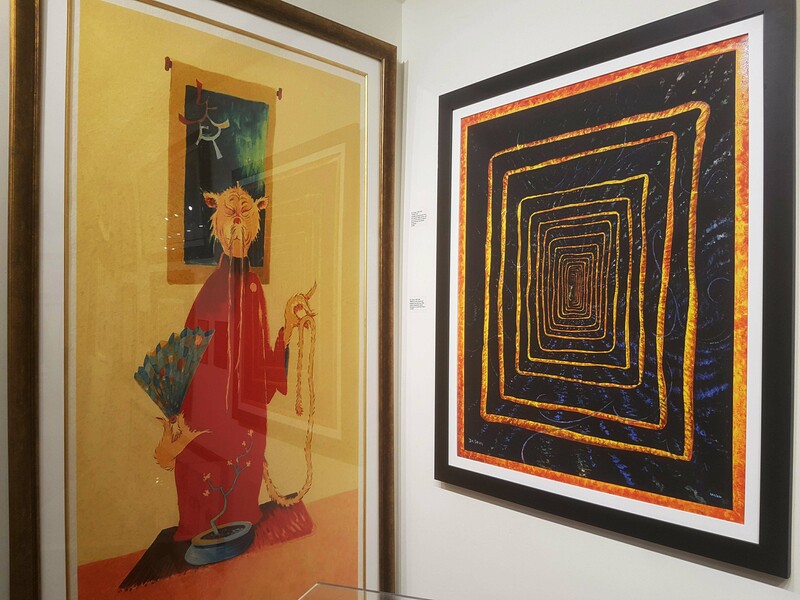 His paintings and the characters he created show that he was inspired by surrealist art. Visitors mingle and take in the art of Dr. Seuss. 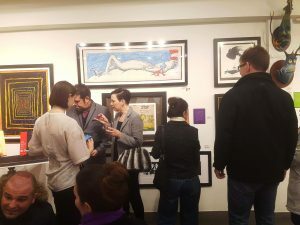 For the grand opening, Liss Gallery hosted a party in the evening with food, wine, carollers and a live retelling of How the Grinch Stole Christmas performed by Scott McClelland. McClelland produced Carnival Diablo and The Paranormal Show, and says he’s been perfecting his live storytelling since the 1980s. 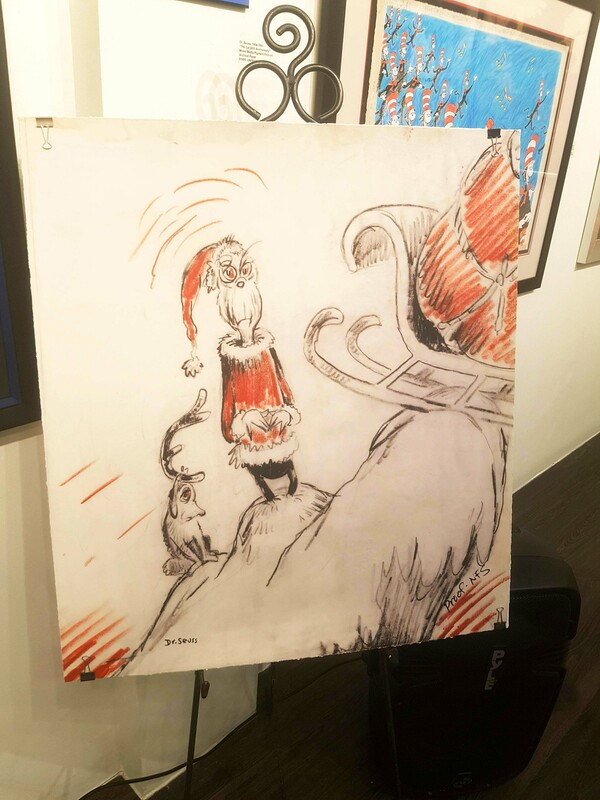 The Art of Dr. Seuss collection is on display at Liss Gallery from Dec. 2 to Jan. 6. Saturday's events included a live retelling of How the Grinch Stole Christmas. Dr. Seuss was very particular with colour, as seen in his notes above some of his illustrations.